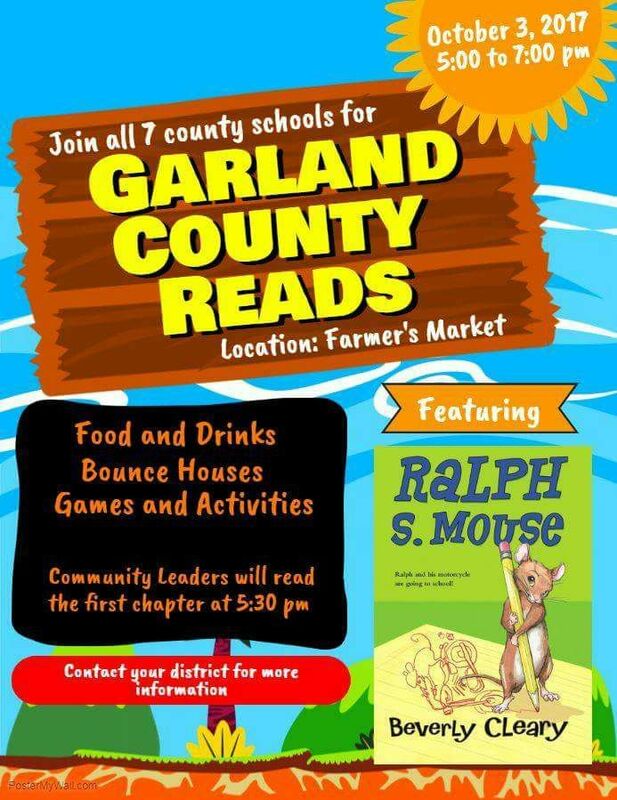 “A Community United!” Join all seven county schools in an effort to promote a love of reading on October 3, 2017 at the Farmer’s Market between 5 and 7 PM. Community leaders will read the first chapter of Beverly Cleary's, Ralph S. Mouse, at stations throughout the venue beginning at 5:30 PM. Food, drinks, games, and other activities are planned. Come join in the fun and promote "Reading is Lit".